Save 70% on these presets for HDR imaging. Want to take more perfect photos? Check out HDR Projects 2018 Pro. HDR imaging is a way to display more luminance in your photos, more effectively representing what the human eye actually sees. You can choose from 155 carefully developed presets that will instantly boost the visual appeal of your photos, and you'll get clean images every time, without concern about intensifying image noise. You can also use HDR Projects 2018 Pro in unison with Photoshop CC or Lightroom CC, allowing you to work with filters you're familiar with. Easily remove or add elements with the Composing feature, and optimise photos with the bush of a button using HDR Dynamics Optimization & Optimization Assistant. 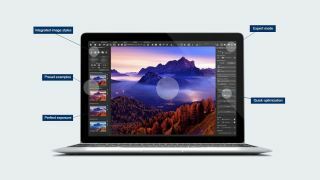 Get your hands on HDR Projects 2018 Pro for just $29. That's 70 per cent off the regular price.